As we are about to put our faith and cryptocurrencies into a shared node with people you may or may not have met a lot of uncertainties and questions arise. We would like to discuss one of these uncertainties that we are currently struggling with as a future node operator. What if someone were to decease ? Let’s take a 5 multi-signatures wallet as example, we will miss 1 more key to open the contract. Meaning that the 4 other members will not be able to retrieve their ELA ! We came up with 2 possible solutions. For both examples I will use 5 persons all chipping in 1000 ELA transfering the ELA to the required wallet address using the multi signature function. Before I explain our idea further I would like to address that we do not have the technical knowhow if what we are suggesting would be possible in this day and age. So…. what if 1 of the 5 members passes away and is not able to make any changes leaving the other 4 members of the node stranded. Since I have been using password managers I struggled with the idea of passing away. What if I pass away and all my accounts and passwords are stored online in an encrypted vault unreachable for my loved ones. But there is a solution. An option to appoint people e.g. a mail-address (can be anything a hardware token, bio metrics etc) that has the ability to request entrance to your encrypted vault. After a certain amount of time (chosen by the vault owner e.g. 2 weeks) the email address that requested access to your vault is approved and is now able to access your vault giving access to your accounts and passwords. In case someone’s email is compromised you always have the option to decline a request and remove the email address out of the “trusted” list. What if we can translate such a model onto the multisignature node contract. Where 3 out of the 5 node owners could initiate a vote to be able to remove an inactive person from the node. The person that is being voted for has a timeframe where he can respond and stop the vote for his removal. When the (deceased) person does not decline the request in due time he will be replaced by the next participant that wants to take the 5th spot. The person that wants to take the 5th spot needs to send 1000 ELA to the registered wallet of the previous owner that is about to be removed. Once the ELA is in the wallet the new participant joins the node and receives the “old” 1000 ELA the previous (now removed) owner had staked. It could also be possible for the 4 remaining node owners to each fund 250 ELA to the contract and continue with just 4 node owners. A timed contract that needs to be signed to approve you are still active. 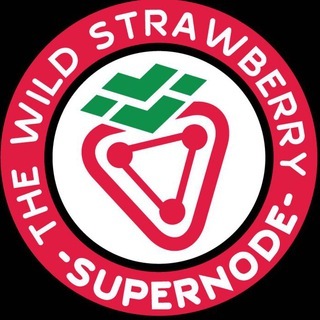 For example once or twice a year (this can be decided between the node owners) all the people that have a stake in the node need to (re)sign a contract to keep their position in the node active. They would have [insert days/weeks] to be able to sign this contract. If the contract is not signed by 1 of the node members he will forfeit his position and the staked ELA will be returned to the owners wallet. Before the staked ELA is returned to the wallet of the inactive person the node owners have e.g. 1 week time to find a replacement or fill up the 1000 missing ELA by themselves. Once a replacement has been found he can take the spot by depositing 1000 ELA to the wallet that is stated in the contract as explained in solution 1. This is something we have been thinking about the last week and would like to hear what the community thinks. We do not have the technical skill in coding & smart contracts to be certain if these would be viable options. Note fom Guik0 : We are preparing a “pack” for every starting DPoS Node with a Contract of Members, the future “dead script” presented here, others docs, and advice from past nodes, the idea is to facilitate the creation of nodes, and helping the network long term. It would be a CR Suggestion soon, please come to our Public channel to be informed as one of the first! Thank you for your reading. This kinda thing can be implemented on a special wallet someone develops themselves. The Elastos Foundation just provides a basic functioning wallet that is simple and just “works”. If anyone wanted to implement their own solution like the one you proposed, they’re encouraged to create a new wallet app with those smart contracts in place and what you proposed can easily be created.